Our Arlington location is at 4629 S Cooper Street , Suite 117, Arlington, TX76017. Our Arlington location was opened in September 2008. It is one of the first locations to open. It is located in the Hartman Cooper Street Plaza in front of Home Depot and beside Mattress Firm. It is across the street from Hemispheres. This highly visible location is one of our busiest locations. They have a lot of clients from Arlington but also Mansfield and the surrounding areas. The staff cannot wait to help you be Slim4Life. With every client being set-up on an individualized program and receives one on one counselling, our staff will guide you so you can achieve your goal weight . We accelerate at breaking plateaus that our clients hit as they are losing weight . We have many different plateau breakers that ensure our clients lose weight the fastest the y possibly can while feeling great and with out being hungry. 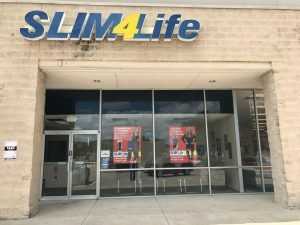 Make an appointment at our Arlington weight loss center today!